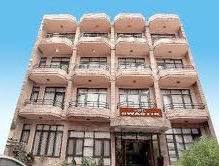 Hotel Swastik is located in the centre of Katra, with majority of sightseeing options available within reach. This is the perfect hotel in Katra for budget travelers who don’t want to lose out on luxury. The staff is very well trained and their warmth could be felt easily. Even though the hotel is one of the cheapest, yet they have not compromised on the vital amenities as well as the infrastructure. The location of the hotel is such that one can enjoy the picturesque vista of landscapes of the Trikuta Hills and the township from every nook and corner of the hotel. Local sightseeing can be facilitated on request by the hotel staff along with providing you guides for easy and hassle free wandering in the town. 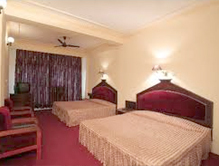 Accommodation There are 22 rooms which have the option of air conditioning as per your requirements and needs. The rooms can be classified into standard and family rooms. All the rooms are equipped with basic and modern amenities like attached bath, ceiling fan, satellite television, and telephone. The rooms are very cozy and when matched with the warm hospitality, it definitely makes it the best accommodation in Katra for the budget travelers. Dining There is an on-site vegetarian restaurant that serves a variety of dishes. The cuisines are prepared with utmost hygiene, one of the top the priorities of guests .